Unused Spare Parts Wartsila Marine Engine Regular supply of spare parts for all types of Wartsila engine. Available in stock, unused and box packed condition, plungers with barrel for all types of Wartsila Engine and generator. These parts are sourced directly from ship stores which were dismantled at ship recycling yards and were purchased in auction. 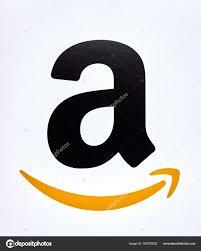 All parts are genuine original OEM parts and can be used directly. 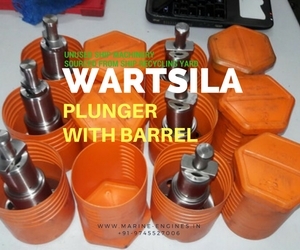 For more details on price and availability of Wartsila Engine Plungers with Barrels, contact us with details of required quantity and destination port. Other unused parts for Wartsila engines are also available. We maintain almost all marine engine spare parts stock of used and unused spare parts. 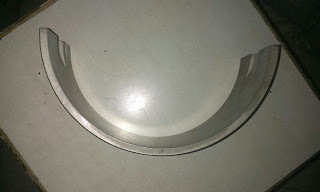 Wartsila 22 bearing spare part available in stock. 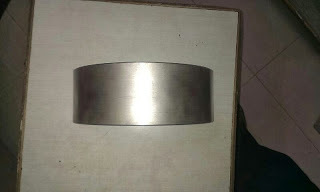 The part is unused and is recovered from ship store which got dismantled at ship breaking yard in India. The spare parts are genuine and reliable part. These are few to mention here. Contact us for availability, price and delivery terms. We are regular suppliers of unused and used reconditioned spare parts for Wartsila engines. All major spare parts are available. Available spare parts for Wartsila Engines. 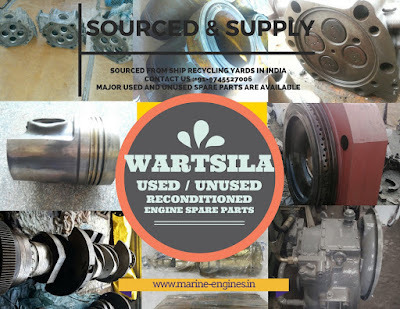 We source and supply used / reconditioned and unused spare parts for below mention types of Wartsila engines. 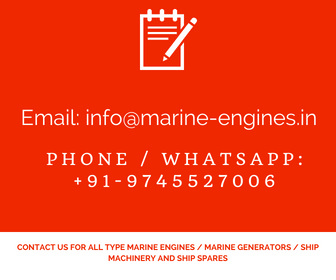 Contact us with complete details of your required spare parts list for Wartsila Main and Auxiliary engine. Used Wartsila 12V32 LN of 4.3 MW is available in stock and for sale. The used Wartsila generators can runs on HFO and are a diesel generator. 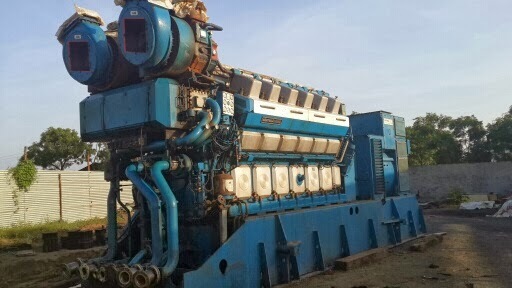 The used Wartsila diesel generator was removed from ship at ship dismantling yard. Required top to end cleaning / servicing is done. The used diesel generator is in excellent running condition. With this unit of used Wartsila 12V32LN we provide original aux equipments. The used Wartsila 12V32 LN diesel generator was timely overhauled and all records are available which can be made available to the buyer. The used Wartsila 12V32 LN of 4.3 MW is available with its control panel, lube oil separators, ventilation system, cooling towers, starting system, transformer, chimney, Filters, etc. The Wartsila 12V32 LN is in excellent working condition. Wartsila Generators capable of running on diesel as well as HFO. The used running generators are sources from ship dismantling yards in India and are removed carefully. At yards, proper required top to end services is done and along with one hour running incase complete accessories are available at sight. Wartsila generators economical and can be used as backup power supplier or regular power supplier. This multi fuel operations makes it first choice among customers for meeting demand to power supply for factory or industry. Wartsila engines are among large combustion engines and can be used for various application, mainly for power plants. These are medium speed engines connected for power generating. The Wartsila generators can be easily switched between dual fuels without load reduction. Beside these, we are also sourcing and supplying below mention used generator plants. Wartsila 2.8 MW HFO based generator of speed 750 RPM and frequency 50 Hz. The complete unit was removed from ship and is in excellent working condition. The rated power is of 2700 Kw, with AC three phase type output. Wartsila 18V32 HFO Based generator of 6 MW is available for sale and is in excellent working condition. The unit is complete with all its accessories like waste heat recovery boiler, purifiers, etc and is fitted on frame base. Wartsila 9R32LN HFO based generator of 3.2 MW in excellent condition available for sale of RPM 750 and frequency 50Hz. Wartsila 12V200 of KVA 2825 is in good condition and of frequency 50 Hz available for immediate sale. Wartsila 12V32 of Rated Power 4 MW and speed 750 RPM. The generator is HFO based and of frequency 50-60 Hz. These are the few listed HFO based used Wartsila Generators we source and supply on demand. Besides these generators, major used reconditioned spare parts like crankshaft, camshaft, pistons, plungers, connecting rods, bed plate, blocks, cylinder heads turbochargers, purifiers etc are easily available and we assist customers to get timely delivery of the spare parts. 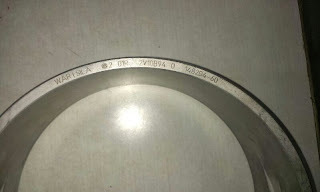 Other parts like valves, gaskets, rings, bolts, washers etc also can be arranged and supplied on demand.